Morning Report: Georges St-Pierre interested in superfight with Anderson Silva under fair conditions – MMA Fighting. Posted on March 22, 2014, in Current Events, Mixed Martial Arts, Sports and tagged anderson silva, fight, george st pierre, mixed martial arts, mma, professional athletes, superfight, ufc. Bookmark the permalink. 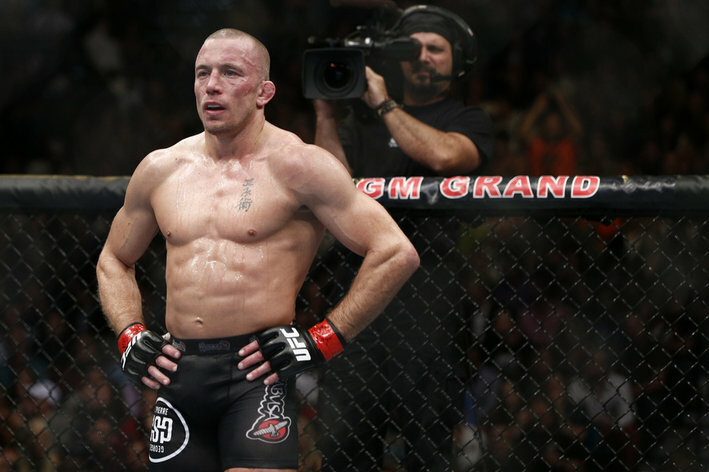 Comments Off on Morning Report: Georges St-Pierre interested in superfight with Anderson Silva under fair conditions – MMA Fighting.